We hear that popular desi band from UK, RDB and Nindy Kaur who are currently in the news for their collaboration with Grammy winner T-Pain are going to feature in Fast & Furious 7, courtesy, the global rapper himself! T-Pain will be making his debut on the big screen and has requested his film directors to consider his fellow musicians RDB to be a part of the film in some way to bring a desi element to the film. 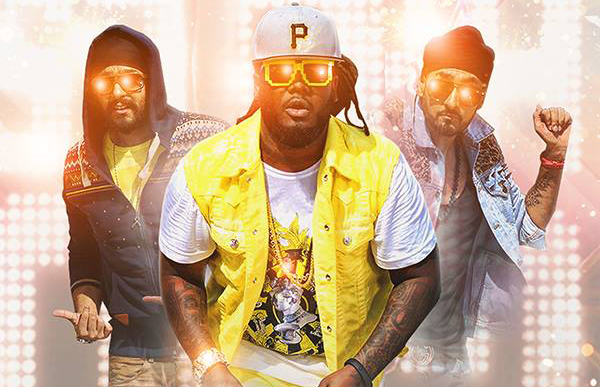 Apaprently T-Pain is completely in love with India and due to his proximity with RDB, the band figures on the top of his favourite list of people. Interestingly RDB will be the only Indianto feature in the film. Last we hear, that Deepika Padukone had citied date issues for not being able to be part of the film. Next articleReview: Dhoom 3, Nothing but noise and smoke! Shahrukh Salman Khan Hug It Out Again!